Medical tourism is a growing industry worldwide. More and more people are looking beyond borders for attractive and affordable health care options. Malaysia is at the forefront of the industry in South-East Asia, and for good reason. Malaysia's health care industry offers a full range of elective and non-elective medical procedures at rates radically lower than those of most Western countries. The exchange rate of the Malaysian Ringgit allows visitors to avail themselves of services which would be prohibitively expensive at home. There are few to no wait times for critical procedures in Malaysia. The majority of medical practitioners in Malaysia have received post-graduate training in the USA, UK and Australia, and offer top-tier medical care in state-of-the-art, internationally accredited facilities. Malay hospitality is renowned world-wide, and the warmth and friendliness of Malaysia is certainly reflected in its health care industry. Feel at ease knowing that your comfort and security is the first priority. From hospitals to clinics to live-in care, Malaysia's medical industry is equipped to offer its patients dedicated care customized to their needs. 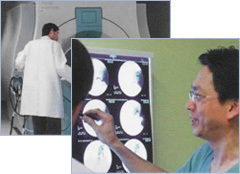 Medical tourism in Malaysia offers patients the unique opportunity to recuperate in a relaxing and gorgeous tropical paradise. Take some time for yourself to heal and experience the beauty that Malaysia has to offer. Indulge in spas, lounge on beaches or take in the country's cultural and natural wonders at a leisurely pace during your convalescence. In addition, take this opportunity to sample some of the best cuisine Asia has to offer. Malaysia's diverse cultural heritage has generated a unique fusion of flavours and cooking styles. I was a bundle a nerves when I arrived for the surgery. But you have made me feel so comfortable that I am leaving with memories of friends. I cannot find a fault with one thing while I was over in Kuala Lumpur. My doctor is such a breath of fresh air! He has done a great job on me and my GP (back home) said that I am healing fine. Nurses, staff and even the kitchen staff were gems. I am an American but I have to admit that your medical level was on the best. It's our pleasure to assist you in finding a suitable hospital, healthcare intermediary or travel agent to assist you in bookings for integrated medical and holiday packages.